Dry winter and spring can make for very fire prone conditions. 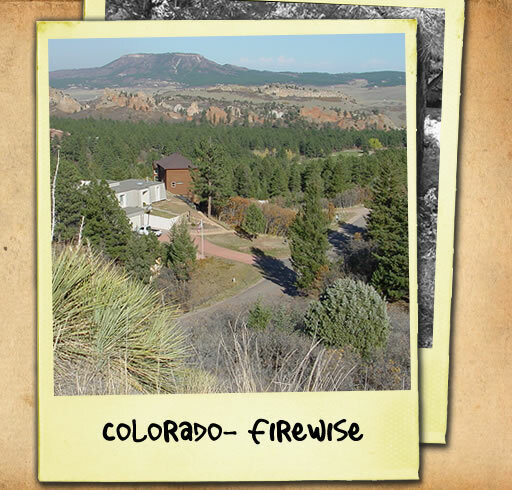 The Firewise website has a bunch of great tips. It’s important when installing new plants and trees to be aware of how this could impact your home in a fire. They have a form that helps you to measure how your home is currently protected against wildfire. 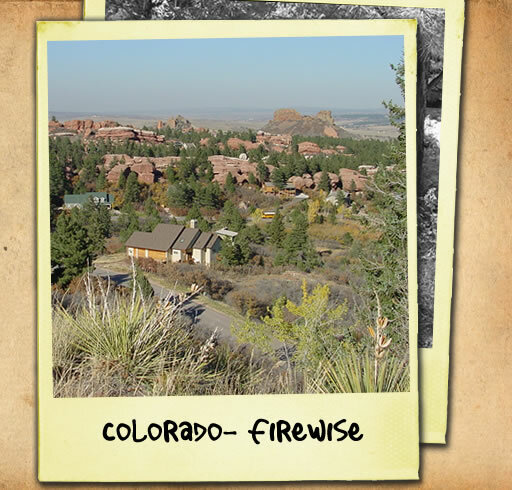 Firewise is a national non profit organization. The national Firewise Communities program is a multi-agency effort designed to reach beyond the fire service by involving homeowners, community leaders, planners, developers, and others in the effort to protect people, property, and natural resources from the risk of wildland fire – before a fire starts. VISION: Wildland fires can occur in areas of residential development without the occurrence of disastrous loss. MISSION: To promote community-wide responsibility in the use of technology, policy and practices that minimize the loss of life and property to wildland fire independent of fire fighting efforts. What Kind of Landscaping is the Best Fire Defense? 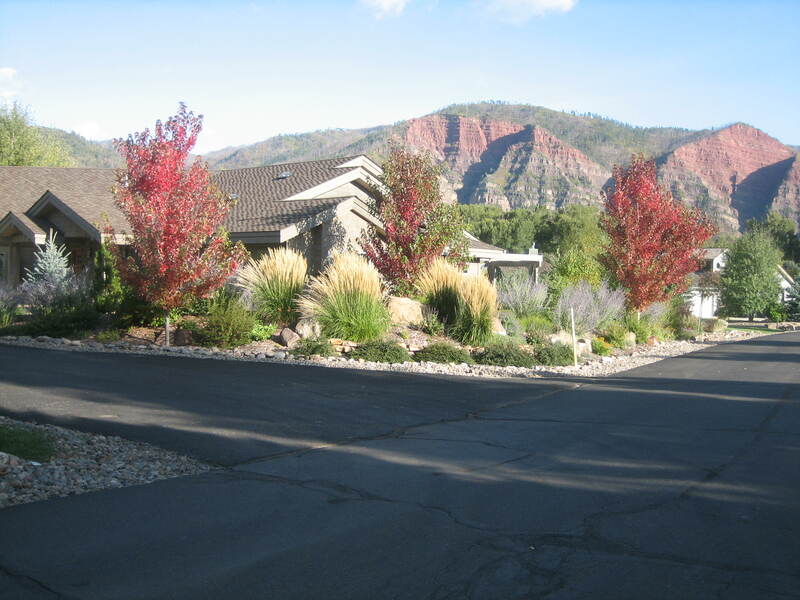 Especially when you are installing a new landscape, make sure to plan for defensible space around your home. This is very important in most states in the mountain west. 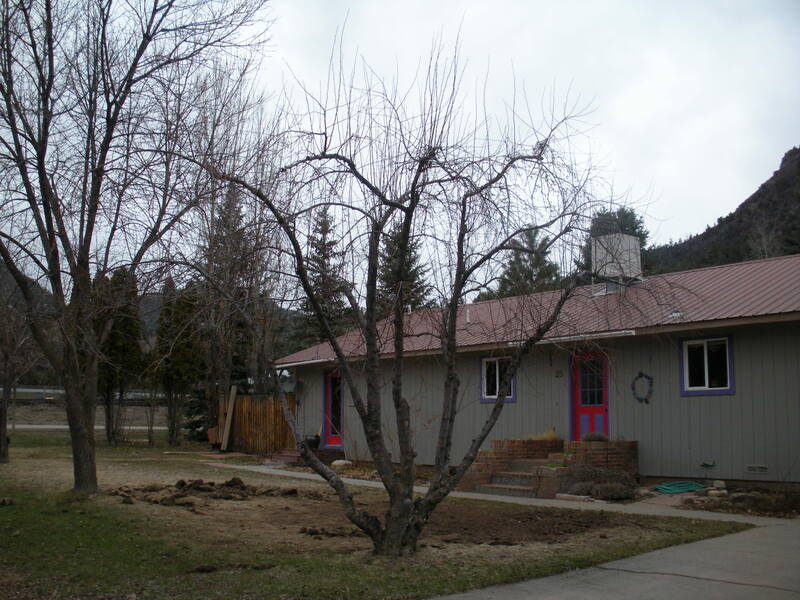 For already existing landscapes, remove all dead material; including trees, shrubs and grasses. The best defense is a healthy green wet landscape. 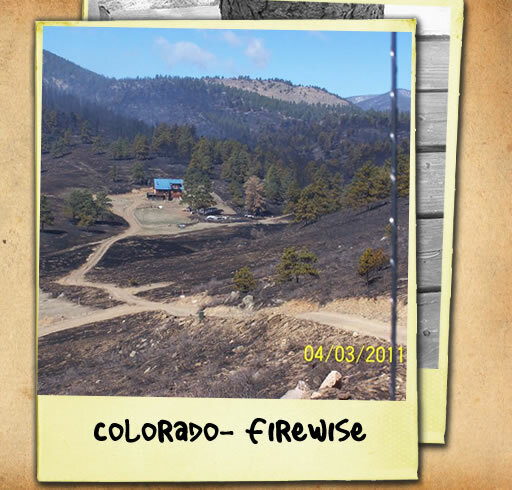 I have found so many good tips and information from the Firewise website. I recommend protecting your home and community by being well educated. In the March issue of Lawn and Landscape Magazine they have focused on tree care. This article on preventing tree topping gives several great reasons why this is not a sustainable practice. I notice this tree topping practice and cringe. 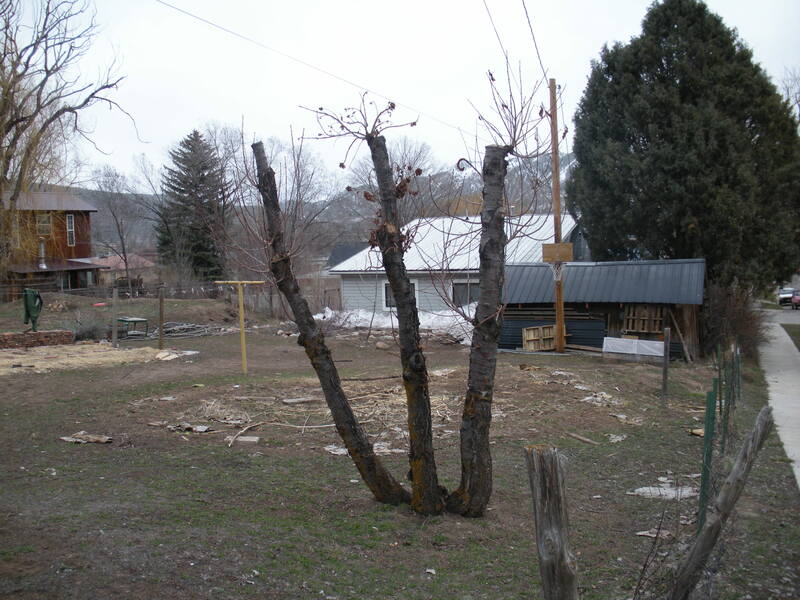 You might as well simply cut down the tree instead, because by utilizing this practice you are decreasing the health and vigor of the tree and thus make it susceptible to diseases and insect infestation, thus it will most likely die. 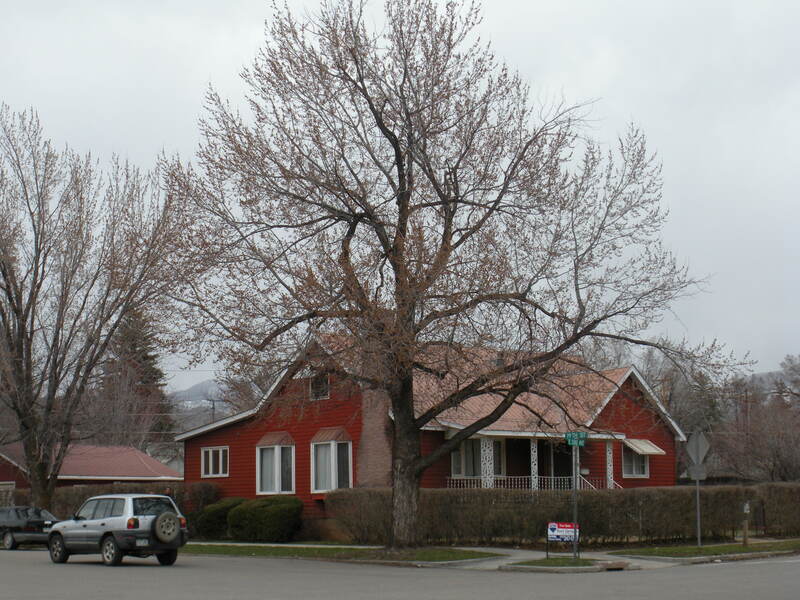 Fortunately, Durango has some control over the pruning practices that occur within city limits. In order to prune trees in town for hire, the individual must obtain a licence from the city. 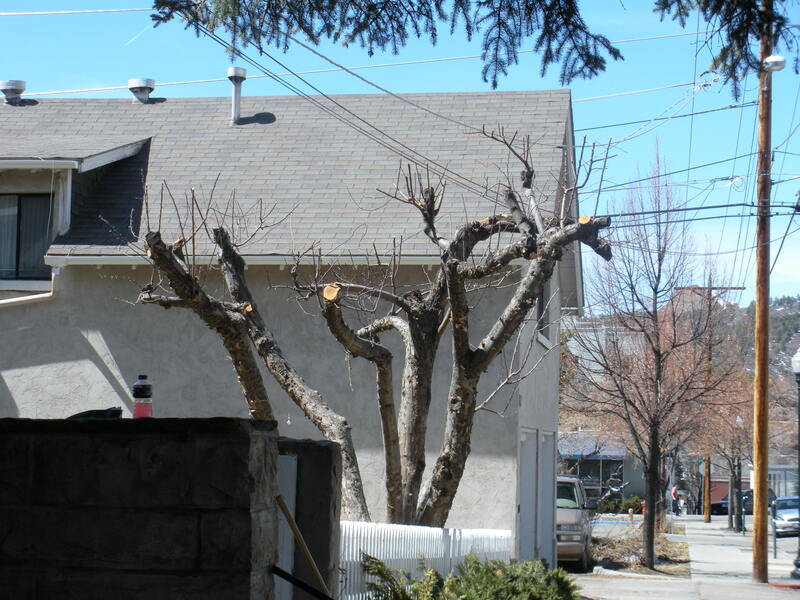 This process requires a written and a practical test overseen by the City Arborist. 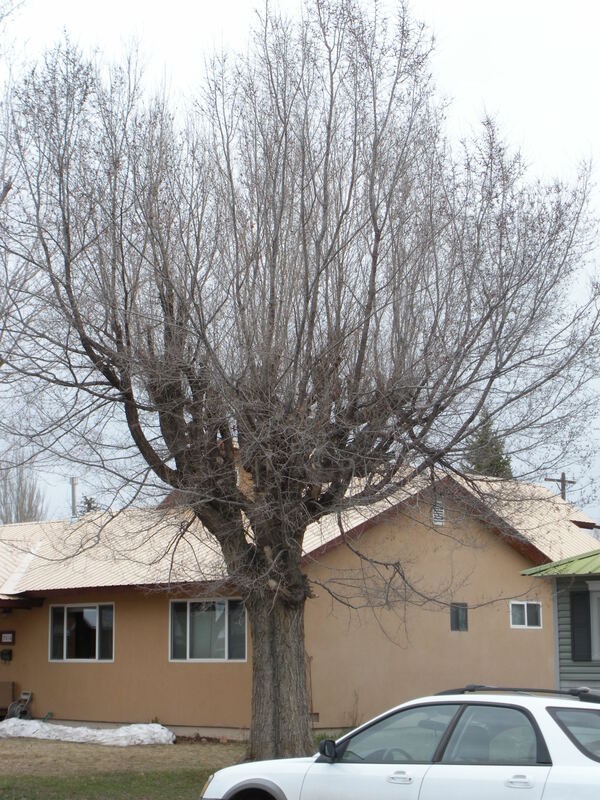 If you are considering hiring a person to prune your trees and shrubs, be sure to ask for and see their licence from the city of Durango. You can call the city at 970-375-5010 to see if they hold a current licence or view their list. This is a good way to determine the licensee’s understanding of horticulture and their skill with a saw and pruner. 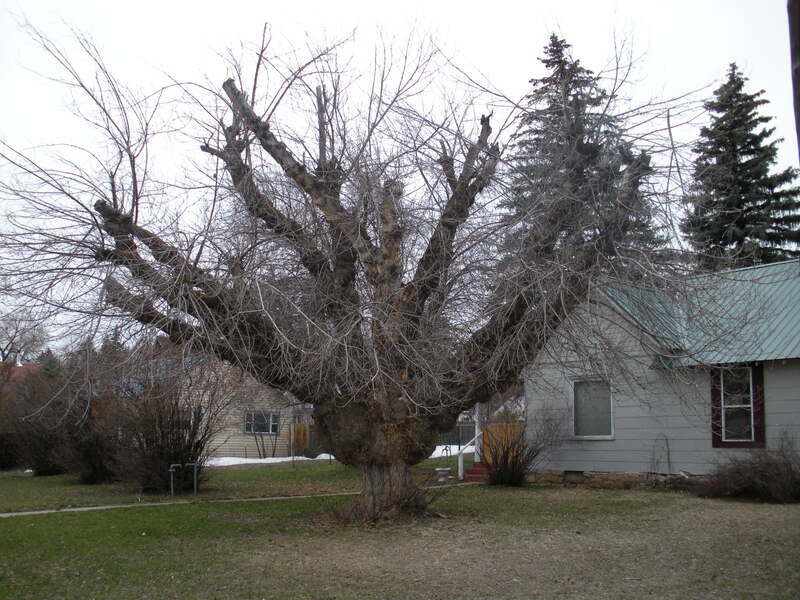 Also, you can report questionable persons or their work to the City Arborist, whose number is 970-375-7383. Snow has arrived in Durango, Colorado this morning and it looks like it will continue for several days. These are the types of storms that require diligent snow removal and often tire out the average homeowner. Gardenhart purchased a large snow blower last fall and was able to keep many of its clients driveways and sidewalks clear and safe for pedestrians last year. Snow removal is a chore that does not always provide satisfaction, like planting a new tree. You work for an hour shoveling the drive, only to have it covered again in the morning. Durango is known to have back to back storms that can deliver significant snowfall over several days. So it is best to keep on top of shoveling before significant accumulations make it icy, thick and difficult to move. 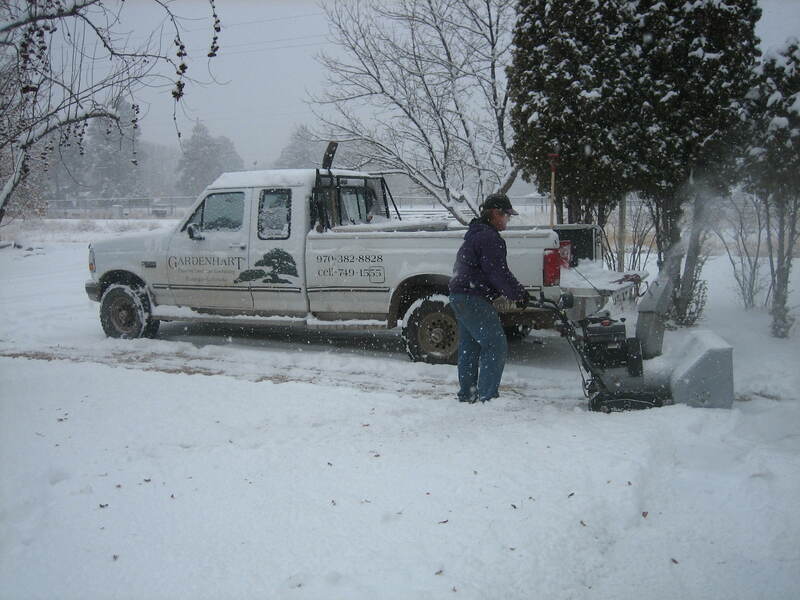 Gardenhart Landscape & Design uses a snowblower, not a plow on their truck for several reasons. First, it is much more suited to driveways and sidewalks than a plow. Plows are efficient for roads and parking lots, not smaller areas. Another reason is that it blows the snow away from the area being cleared, instead of piling it up at the edges. It also tends to do less damage to adjacent plants and sprinkler systems. So, give Gardenhart Landscape & Design a call at 970-749-1555 if you find yourself getting behind in the snow removal chore, we would be happy to help dig you out! Find out more information about Gardenhart at http://www.gardenhartlandscapedesign.com and on Facebook for more sustainable landscaping tips. 1) Start a calendar so you can track when and how much you water your trees and other plants. It does not have to be very technical about how much water was applied, just give yourself in idea, a lot or not so much this time. You will use this information in the upcoming months to help you decide when you should water during the winter. 2) Turn your compost at least one more time, before it freezes, this will give the worms a good supply of water and table scraps to feed upon for the next few months. If you do not have at least two piles going, start another one now with all the leaves from your yard and the neighbors ones as well. I hope this information is helpful to my readers and gives you things to do to help get your landscape in the shape you want, there are many things you can do. Any questions about your landscape or topics you would like me to address? Follow me on Buzztown, Facebook for more landscaping advice and tips. Last time I wrote about the cooler weather arriving here in Durango and some things we should be doing outside. I will continue with a few other things you should make time to do. 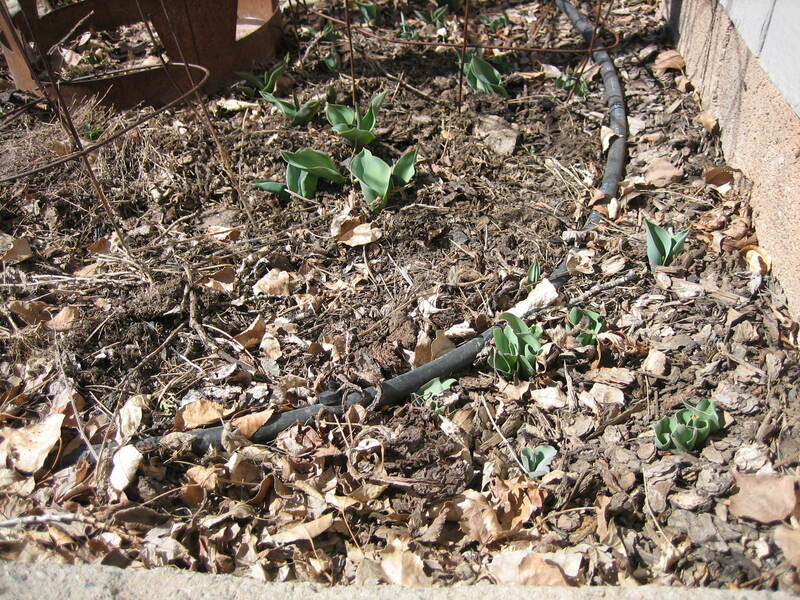 1) Mulching your perennials with garden compost is a great idea and the plants will really respond in the spring. The compost that you have been growing all summer is done now and you should put it around your favorite plants. It will slowly leach nutrients into the soil with each freeze and thaw cycle and come springtime, the plants will spring forth! 2) Resist the temptation to prune everything back to the ground in order to make it look neat and clean. Yes, you can deadhead the flowering plants and remove any broken branches or stems, but I would leave major work to be done in the spring, like Butterfly bush and other plants that need to be cut back each year. Give your garden a nice look when the snow gently covers it all. Fall is a wonderful time to garden in Southwest Colorado, it is not too hot to be outside. We at Gardenhart Landscape & Design are finishing up a few local projects and starting the design process for a home up on the Florida Mesa. We might be able to get a few things in the ground this fall if we hurry.